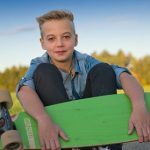 This is Predominantly a National Online, Skate Product & Accessory Product Distributor (Including High, 500% Profit Mark Ups, for Own Brand, Imported Products). Having Multiple & Major Australian Brand Suppliers Who Drop-Ship the Majority of All Online Products. Sales Have Already Grown Beyond the Total Sales of 16/17, in 17/18! Owner Can Be Located Anywhere in Australia. Staff Manage this Business. This is a Diverse Income Business, Being a Market Leader, With All Money Pre-Paid or Paid Upfront! Staff manage this business, as this owner is focusing on a full-time position within another industry. Established many years ago, this owner enjoys being mainly based from the comfort and convenience of a home-based office. 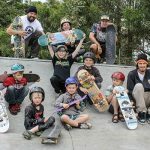 Social media clientele following of this predominantly online skate product and accessory webstore has more than 8,069 (approx.) subscribers. The client demand for these niche market products continues throughout the year. This is a trademarked business. It also includes a staff managed own branded outlet. As with associated high profit services provided to multiple schools, major shopping centres, with invoices reaching upwards of $16K for product hires. This business owner also imports from contract manufacturers own branded products, being exclusive to this business from offshore suppliers. Then, this is a ‘smart and time leveraged’ operation, having a passive based income from paid upfront, online product purchases coupled with the fact that there are multiple suppliers who offer this business convenient, and time and cost saving ‘drop shipping services’ for all online orders. Simply send an email after confirming that the clients’ money is safely in the bank account and the order is shipped. Staff don’t need to pick, pack, nor stock or despatch products. This means that this business can be operated as a veritable ‘marketing’ company, able to grow sales exponentially, without adding staff or premise costs etc. 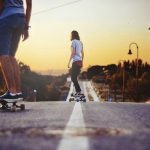 Combine these dynamics with a large 6,000+ product range listing on this website, including other lucrative skate hire services. Oh, all product sales and ancillary hire services are paid upfront, or in advance, making this a cash flow positive operation. Which is being operated by staff, on behalf of this owner. This is a highly time and profit efficient business model, anchored online, for the vast majority of its product sales, ongoing. Includes export sales. The website still ranks high for major key word searches! There are untold areas of marketing which could be implemented by a new owner. This business is not geographically limited. There is so much more you need to know and read about, which is within the detailed profile we can email you. It makes it easy to see this ‘smart business model’ for all that it is…profitable, time leveraged, and a niche market business. The existing and large product range could expanded upon, both its local and imported items. Able to make even more money, if only marketed more actively online or otherwise. The effectiveness of this business is why it has remained a unique, market leader, diverse in its offering to clients. There is a large channel of passive income, in addition to many other ways it makes money. This is an enjoyable product base to align yourself with. We know that smart business owners and investors will see just what can be done with this niche, and mainly online market player, being ultimately plump with potential.